Nike is continuing to deliver for the fall season and this time around we’re going mauve. 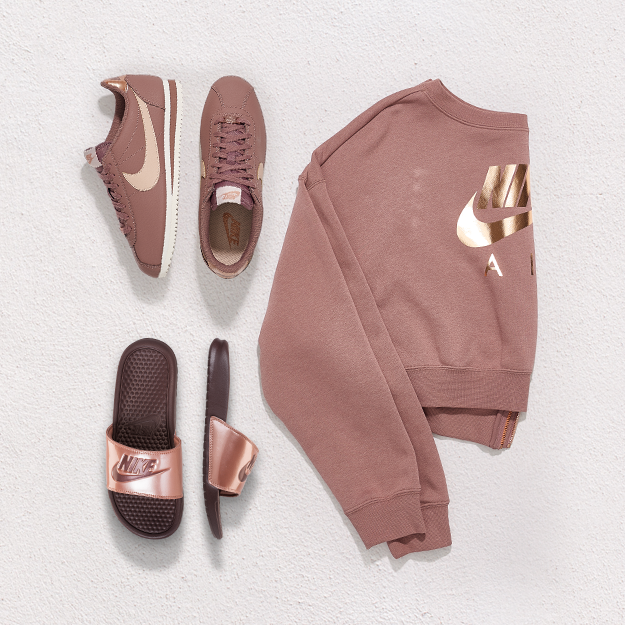 Easy tones to pair with all your fall style and we especially love the Nike Sportswear Rally Crew Sweatshirt with zipper detail in the back. All of the Nike footwear will make any street style outfit stand out with a little color and especially with the Nike Sportswear Jogger Pants.